Are you making less than $100 a month with your blog right now? If you answered yes to both of these questions, then have I got a great way to help you make money now. Wouldn’t it be nice just to make some extra cash on the side and like go buy that pair of shoes you’ve had your eye on? 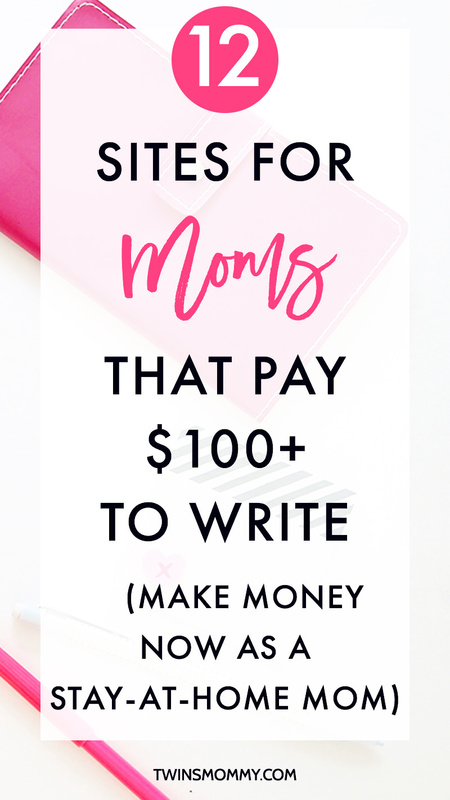 Well, if you’re a mama blogger want to learn how to get paid for blogging? Yes, you can get paid to guest post! If you don’t have a blog, but want to start one, I have an easy step-by-step tutorial on how to start a blog using SiteGround! If you have do one paid blog post a month, it can cover your Tailwind account, hosting fees, blog image subscription or anything else you use for your blog! Awesome right? There are a lot of blogs that allow others to guest post on their blog and many of them actually pay you to blog for them! I’ve been freelance writing for almost two years now and have come across sites that pay $100 or more to write. These are perfect for stay-at-home moms, mama bloggers or freelance mamas! Be sure to look through each blog’s content to get an idea of what they are looking for before you reach out to them. And if you’re interesting in making a living as a writer – like me – check out my other site, Elna Cain for some awesome free resources! 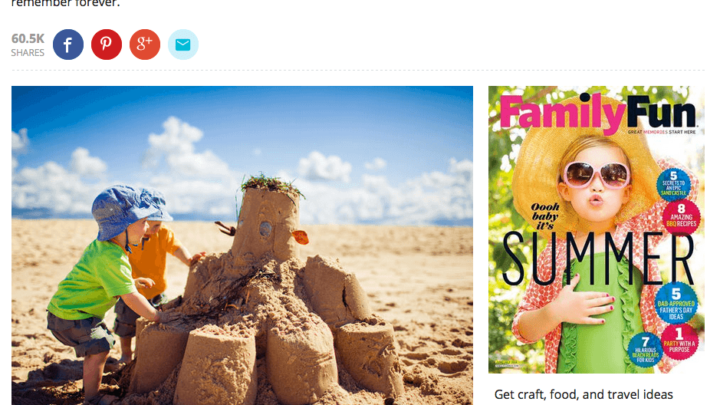 FamilyFun is a popular magazine that’s been running for a long time. The topics are typically geared for families with children between the ages of 3-12. They cover a wide variety of topics, from cooking to vacations, and offer tips to create unforgettable moments. 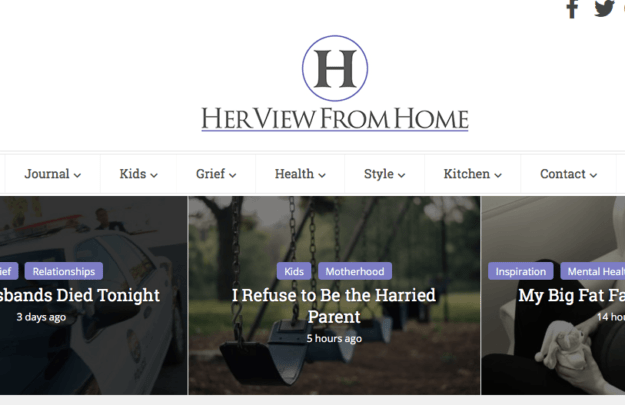 Her View From Home is a lifestyle site that focuses on your home, family and life. In your email remember to include your website URL, your social media profiles, and a post between 600-800 words and other links to your posts. Pay scaled and based on pageviews. The Yummy Mummy Club (YMC) focuses on Canadian women with children. Most posts deal with being a mom, pregnancy and the needs of families with children. In your email send your complete post. Do you like to save money? Or better yet, make money? The Money Pantry is a site about money tips. They like stories with numbers, strategies and real-life examples. If you have a unique way to save or make money, then contact the Money Pantry today. 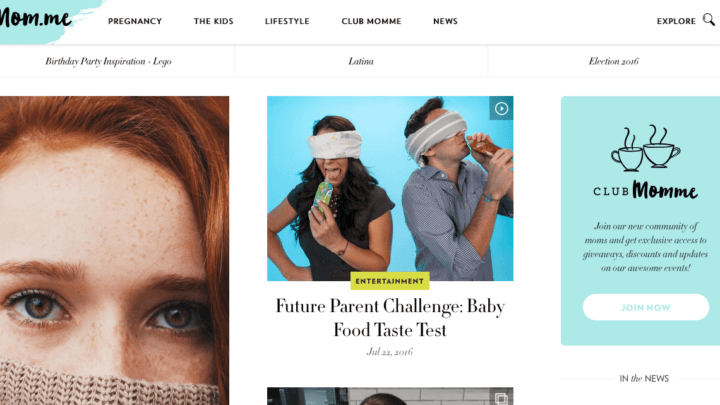 Freelance Mom is a site centered about freelancing and entrepreneurship. They really like personal stories from moms – and dads – that readers can learn from. They also like posts on specific systems, tools and processes. Mom.me doesn’t advertise that they pay for guest submissions, but according to their editor, they do. Mention her in your email when you contact them. This blog covers everything from pregnancy to raising your kids to the mommy lifestyle. Take a look at their blog to see what type of content they publish. Do you have a crazy, hilarious college story you’re just dying to write about? Cosmopolitan – yes the online version of the magazine – is wanting to pay you for your story. Just fill out the survey and submit your story there. They’ll even take published posts too! This beats writing for free over on HuffPo! Do you live in Michigan? If you have a local story to share or tips specific for southeast Michigan mamas then submit your story with them! Make sure to pick up the magazine or view the online version to see what stories they publish and like. Once you become familiar with the publication, just submit your email and story idea. This site caters to children between 8-12 years who want to know more about the bible and God. Clubhouse likes posts that are exciting, adventurous (they have a fiction section too) and educational. They are looking for a variety of topics including humorous how-to stories (ex: how to get good grades), factual stories from a Christian worldview and short craft or recipe ideas. 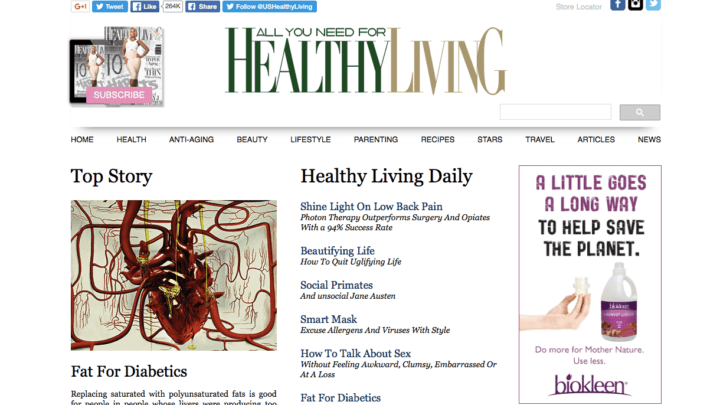 Healthy Living covers a variety of health topics including beauty, travel and parenting. When submitting your request to guest post, go ahead and submit your entire post. They will usually respond within 6 days. Do you live in Arizona mama? If so, why not write a guest post for Raising Arizona Kids? They are seeking stories and articles about raising your children and the local resources available. They’re only interested in Arizona-based bloggers and stay-at-home moms who have a unique and local angle to their story. I included A Fine Parent in this list even though they aren’t accepting submissions all year (you have to go on the waitlist to be told) it’s still a great blog to guest post on if you’re a stay-at-home mom or working mom. 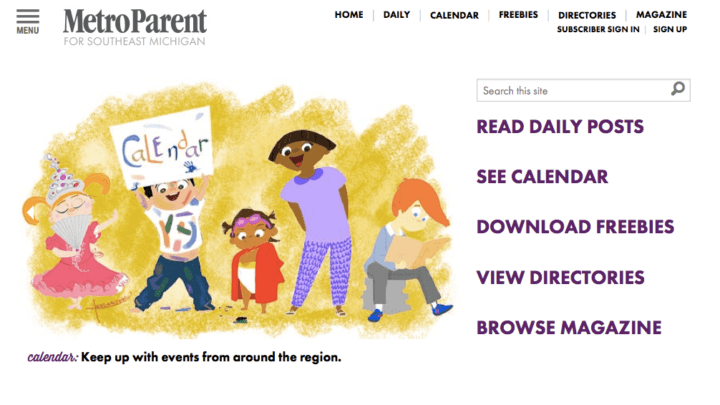 A Fine Parent focuses on monthly themes with posts geared towards positive parenting practices. Sign up to their list to be notified of the next submission opportunity. There you go! How to get paid for blogging with these publications that a stay at home mom can do during nap time! The best way to have longevity with making money online is to diversify your income. It means having different income streams online. Typically, if you have a blog you can start monetizing it right away. It doesn’t mean you’ll get income from day one or a lot of income, but you can set the foundation for monetizing blog posts to help you get some income later. For example, it took around two months after I published my income generating blog post with affiliate links to make a commission. I promoted SiteGround in the start a blog post and after sharing writing a good tutorial and sharing it on social media, I was able to get a sale and then another and another. To help you out with affiliate marketing, I have a guide on how to promote your affiliate links on your blog and on your posts. I’d love it if you checked it out. Just sign up below! Over to you – tell me how you create income with your blog! I would love to hear it. Or, if you are interested, what kind of income streams are you interested in doing? Elna, I’d love to start a blog. I plan to just write about my life, what I do daily as a mom, educator, etc. I’d like to get paid for this. My son’s friend has a YouTube channel where he plays video games and he makes money from that. I’m hoping I can make money from writing about my thoughts and feelings about my daily life. Can you, please, tell me how to get started? Thank you! That sounds awesome! I’m so glad you want to start a blog and start making money blogging too. For your niche to work you have to align your blog for your audience only. Have posts that can help your audience with a problem. I take so much inspiration from your blog so thank you so much. I am a father and after reading wonderful experiences of the stay at home dad https://stayathomedadworld.com I am thinking of staying at home myself to look after my child. I am hesitant and I wanted to reach out to hear other opinions about how common it is to be a stay at home dad and if it is recommended. Thank you. That’s great to hear! Yes, staying home and working from home is a great. Both my husband and I do it and we have twins to boot! I don’t know many stay at home dads but it isn’t unusual. Enjoy the journey! I am so happy that I found your post. I am just starting out and I am setting up my own website to start blogging. I like the ideas of the links and sites that you shared. I can do all of it. 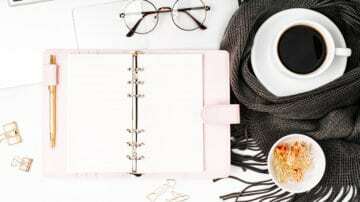 I didn’t know where to start and guest blogging is what I want to start out with and I have been ask to partner with Amazon and a few online catalogs. I am a great shopper and I can teach people how to get the most for the least money. I have several Pinterest pages that I share the fashion, clothing, and post about how to make money online. I took Fashion Merchandising when I was in school and Ad Design too. I made A+ in Creative Writing in College also. Thank you for the wonderful ideas, I am very excited now that I have found a place to start. God Bless You and your family. My name is Aleta Jeanne Moore. I am a 59 yr old that was a single mom and raised my son by myself and he is a very successful and he exhales at just about everything he does. I know so much about how to raise children and have been a teacher and can teach just about anyone how to do anything if I learn it myself. I work with regular education students and special education ones ( mentally and physically disabled, Handicapable. Thanks for the ideas and I will be following you and I know that you have the expertise to help me become a successful freelance writer and blogger. That’s wonderful to hear! Thank you for your kind words. You are an amazing mom yourself! So happy you found a path to generating income! I’m here if you need me! Totally love your article. so informative.Started a blog but haven’t brought myself to launching it. i love crafts fashion and leaving healthy stuff but am yet to put this down.Ijust don’t know how to start. I love this. I have been looking for a list to get me started and this is a great resource. I wonder if they respond though. How long do you wait to know if it’s yay or nay? It might be a while before they respond. So, make sure you don’t use the same pitch idea with several sites as two or more may pick up the story! This was a great article — very informative. I am currently working on building my blog and I have hopes to some day make some money from it. I love to write so first posting seems like the way to go. The question I have is, when I submit an article to guest post does my article have to be strictly original to that website, or can I submit an article that I have already published on my blog? Thanks for stopping by and what kind words! Thank you so much. 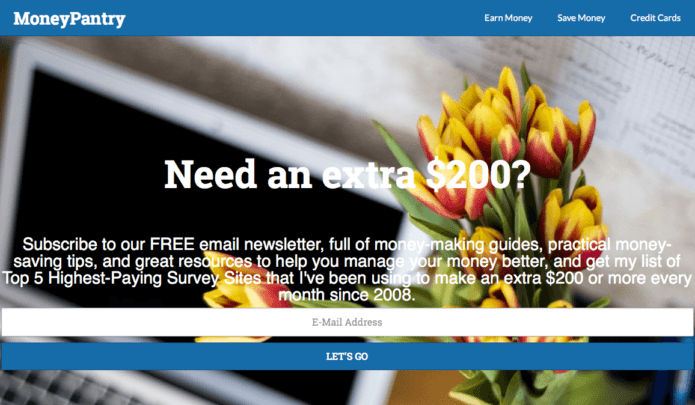 I’m happy to hear you want to monetize your blog! Yay! For your question, it’s best to have an original article when submitting to contributor site. So don’t recycle your pitch articles to different contributor sites. If two sites say yes, you can’t give them both the same post! So happy you found sites that pay helpful! Making money blogging doesn’t have to be hard or take a long time! This is a quick way to earn money for sure! This was a great post. I found it informative and helpful. I have been blogging for about 6 months now and I have just gotten into the world of really beginning to monetize it. I have been teaching on online marketing and growing the blog but in 2019 I am really looking to make this a full time income and teach others how to do that as well. That’s great to hear! Sites that pay is a great side hustle to get some fast cash for sure! Good luck smashing your goals for 2019! Another brilliant post! I’ve been reaching out for guest post ops and getting replies that I can pay hundreds of dollars to be featured on their sites! To find a list of sites that might even pay me is so refreshing. Thanks, Elna! Hi I’m a stay at home mom. How do I get started? Do you have a blog? The first thing is to have a blog and then you can either offer a service or do some affiliate marketing to start making money. 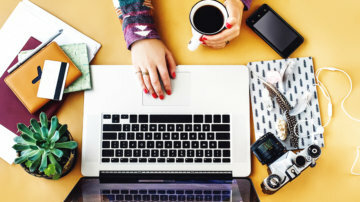 These sites that pay will help you along the way with that extra spending cash! ❤️ this!! So helpful. I really need to read ur article monetizing my blog. I start in July but have been nervous and unsure on how to do it! Thanks you like this post! It’s a great way to get some extra income before the holidays! You go mama! Love the name of your blog too! Enjoy the journey of blogging and if you need some quick cash just check out this post for sites that pay! How helpful! I love when moms share valuable information with other moms! This is exactly what I have been looking for! So glad!!! Enjoy writing for these blogs! I love your energy, its very warm and caring. I am a divorced mom struggling with the ends and the outs of everything. I was wondering if we could chat sometime. I’d love to collaborate minds and share experiences with someone who seems very supportive of women who are amazing with verbiage but are struggling with how to make it work. Sorry to hear that but happy to see you aren’t giving up and you want this to work out! I’d love to chat. Just head over to my Facebook page @twinsmommyblog if you want! Thanks so much for stopping by! As for pitching to guest blogs just be friendly and tell them you are interested in guest posting for their blog and either supply ideas or summaries or drafts. Thanks so much for this list! I’m working to get into guest posting and freelancing with my posts so this is absolutely perfect. I appreciate the comprehensive help! That’s awesome! Have fun guest posting! You’re welcome! These blogs that pay moms are updated and are a great way to get your brand and blog out there! Good luck! This information is super helpful- thank you! A couple quick, and veeeery beginner, questions :). Do you typically write articles first then ask the sites if they are interested or do you contact them and ask for topics that they would like written about? Also, I’m considering starting my own blog (exciting, overwhelming, yikes haha) and am wondering if you suggest working on my own blog first or starting off as a guest blogger to gain experience and some income. For guest posting, I wouldn’t write the article first. I would pitch ideas first (the owner won’t give you ideas; they expect you to provide ideas to them). So email some ideas only and hopefully you’ll get a response. As for starting a blog first, YES! Guest posting is to help you BRING TRAFFIC back to your blog. So you need to link to your blog in your author bio. So start your blog first, put up a post or two and then start guest posting! Good luck! And by the way, my other blog Imperfectly Perfect Mama has free guest posting if you want! https://www.imperfectlyperfectmama.com/contribute/ I find sometimes that FREE guest posting is easier to get accepted and build your portfolio FIRST before you start getting the paid guest posting projects. This is an Amazing list! I blog, but I would love to write more. Getting to stay home with my baby is everything to me. I look forward to trying a few of these out. That’s awesome! As a new mom, being able to stay home is something I wanted to do. I found getting paid for writing the easiest and quickest way to generate a side income! I’m glad these sites will help you stay home too! Hello Elna, I am a stay-at-home mom. My daughter has Cancer every time I try to work she gets sick and ends up in the hospital but I write and write on her page and have been telling her story for 14 years. She has had brain Cancer for those 14 years and is now 15 years young. We have found all over the United States to try to find a cure she said 11 brain surgeries and went blind at 9 years old in 2012 my life is one to go after another. But I feel like I am now a nurse and I know more than the average person about how anything works including hospitals drugs work for certain afflictions etc. People have told me over and over again I need to write or blog. They say that they love my detailed accountings of our daughters tumultuous journey. I have no idea how to do that, and no money to pay for blog businesses that I don’t even know if they are legit. Is there anything out there for someone like me? I started a blog on Facebook called “LIVING with cancer” and it is also on pinterest. Monica, my name is Sarah. I am also a hospital mom. I am very interested in finding a website that hosts on the topic of how we struggle and cope. A site where we can share experiences and help others find resources. We’ve been messaging on Facebook so I won’t go much into this here. 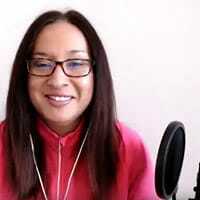 I feel you have a great voice for a blog and a powerful story behind your brand. I say go for it! Thank you so much for sharing this! I have been looking for this exact info! You’re welcome! So happy you found the right post! Hi mama! I have had quite-the-life! I can speak upon so many areas….Thw light ones like d.i.y projects,cooking,Realtionship communication,party planning all the way to domestic abuse,my son passing from s.i.d.s,mental illness,addiction,blending families and so much more! I need the extra income and most importantly i need something just for me. Something i can be excited about and proud of…Where do I start? You have a rich tapestry of experiences you can share with other moms! I say blog all of it. Lifestyle blogs do well for monetization. It’s centered around a community and if you can build that community of other moms with similar experiences your set! Thanks for coming over! You can get started by pitching to these blogs and seeing if you can get a blog post published. Then they’ll pay you! Hi, I’m a 22 yr old mom seeking for employment from home. I have a 7 month old daughter named Kamila, I’m a single parent who still currently lives with my parents, I’m trying to find a job but its so difficult during this time. I have nobody to watch my daughter since everyone has things to do, I don’t trust daycare and her father barely comes around and isn’t stable enough to watch her for me. so I was wondering if there is a way to blog and get paid for it, I love writing about what me as a mother goes through on a daily basis, since I don’t work I’m available all day at any hour. I would really appreciate it if I can get a reply back on information I need, thank you for your time. You would be perfect as a blogger! You can get paid to blog. This post shows you sites that will pay you and my freelance writing site has some tips too! https://elnacain.com You can do this mama! Always looking for solid information like this!! Thanks!!! That’s awesome! Hope you get some income for the holidays! Hi Elna! I love your advice. I had a mom blog befor with quite a few followers and then took a job in radio, I love it! I just started getting back into blogging and am trying to revamp my site and figure out my main focus, because let’s be honest, life is chaotic! Feel free to check out my blog, it’s very simple. I would love to hear your feedback! Have a great day! Great site! That’s awesome you want to get back into blogging! Good luck! Awesome tips! I will definitely use these along with trying to get my blog for people to share their stories of babies with milk allergies going. It’s a lot harder when it’s. it just your content, and other people’s stories you’re trying to get on there! Hey Elna! Wow, just wanted to say thank you for this! I’m a blog newbie, I am actually working on my start up post as we speak! It’s a cooking blog, but different from the rest in many ways! I can’t wait to share my blog with you once it’s live (hopefully by the end of today, or tomorrow evening)! Congrats on your newborn and blog! Your blog is like your newborn ey? So new and needs a lot of nurturing. That’s great you want to grow your band and income with paid guest posting. What you do is go click on the link and I believe I send you to their guideline page on what to do. Read through the guidelines and follow them! That’s it! This list is great. One of the blogs that I’m interested in is Mom.me but they don’t seem to have any specific guidelines on their site. Do you have any suggestions on effectively pitching an article? Yeah, they don’t post that they accept guest posts, but the link goes to an email address. So email the contact person and say you are interested in guest posting and wonder if they pay and if they are accepting posts. From there you can get more information! Love your post! I plan to reach out to some of these businesses. Do you recommend a certain way to open up a dialogue? Should I just go right into what article I want to write for them? You can just introduce yourself and tell them how much you love their blog or a certain post and then go into how your idea can be great for their audience. I hope you land some good guest posts! Fantastic resource! Thank you so much for these! Your Blog has a load of extremely useful articles. Thanks a lot, on behalf of all the newbie freelancers like me. You’re welcome! So happy you found some useful tips to help you out! Very good resource, especially for those who are just starting out in the freelance world. I know how hard that is! Thanks for sharing! Thanks so much! Glad you found some sites to get paid for your guest posts! Always great to find lists of places to submit to! Thanks so much for sharing. THANK YOU! I have yet to see a resource so clear and so helpful for monetizing our blog. I appreciate your help! That’s great! Good luck getting those guest posts to get paid! Thanks for the information, Elna. You rock! I wrote an article for Babble and it was accepted. I am waiting for them to tell me next steps. Another question, what plugin are you using here for your comments section? I like how you’re able to capture email addresses and stay in touch with readers. I’ve never written for Babble so not sure about payment. I would just inquire when payment will be issued or when they need your PayPal address. As for my commenting section, I think it’s just the default WordPress theme! I don’t capture email addresses in my comments only if they click on my content upgrade. This is a great post! Some of these I have not heard of And I have been freelancing for 5 years!! You’re welcome! Wow! 5 years freelancing! That’s awesome. I’ve been doing this for two and I’m glad to hear you really can make a living as a freelancer! It is addicting eh? So glad you found some more sites to guest post on! Yes, I love Jennifer’s WWO groups so much! Yeah, me too! And her calm, sweet desire to help! Oh, my gosh! Every time I go to pin and end up clicking that pin because it’s something I’m interested in, it’s you! I love your posts. Thanks so much Elna for all the information. I’m starting my blog and hope to get more traffic and lots of love. In the meantime, while I’m working out the kinks and getting organized, I think I will head in the freelance direction. Thanks again for the info. That’s awesome. So good to know that you found me on Pinterest and that you like my content! Good luck on your blog and make sure to comment here so I can see your latest blog post! Awesome sourses. Thanks Elna! I pinned it and will go thru it as soon as I can. Time to start making some money for what I’m already doing. That’s awesome. Yes! freelance blogging is the easiest way to get some quick cash for sure!! This is great! I’m a new-to-the-scene (twins) mommy blogger and a friend sent this link to me. LOVE!!! Thank you, so much! This is a great starting point! Wonderful, Wonderful, Wonderful! WOW!!! I am so amazed at all the resources you listed and gave such great detail about. I do have a question, but prefer not to post it here, so I will include my email and hope you will respond there. Out of curiosity, do you have resources for hubbys or dads as you do for mama’s? I can see you gaining more attention and visitors by including this as well. Another awesome resource! I like this list because they are things we can try once or try monthly with no obligation. I will definitely be submitting to at least one of these! Awesome. Yeah, there are a lot of parenting or mommy sites that pay really good money. A lot of new freelance writers are stuck writing for like $20 a post and they don’t know they can get paid to guest post! You aren’t kidding! When I was offered $3 for a 1,000 word bio I started to feel that perhaps writing wouldn’t work out. Now I see that I was just looking in the wrong places! Awesome, thanks so much for the information. So glad you found some posts to guest post to and get paid! Hi Elna… I found this article on Pinterest and let me tell you, it came right on time. I’m in the process of transitioning to a full time freelance writer and this gives me plenty of sites to check out. Thanks so much for the detailed reviews. Thanks so much! Glad you found some sites to guest post and get paid. Awesome list of sites Elna! I’m definitely going to be checking some of these out and referring moms I know to this list. Writing one or two posts a month to cover biz expenses would be amazing! That’s great! Good luck and growing your blog and making some money on the side mama! Thank you again for the awesome tips! You have a wonderful blog and I hope to perfect mine. I hope to gain more skills and experience in the blogging/ writing world. Thanks so much. I hope these sites that pay for guest posts help you out with some extra cash on the side! Such a great source of information for beginner bloggers like me! Thanks so much. I hope you found some great sites to pitch to and get paid to blog! Good evening, I love this post. I’m a stay at home momma also looking for income from home. I’m a beginner blogger who’s been trying to figure out how to keep up with my blog, along with my kids, with no money to do anything for my blog. Any suggestions to keep it up? I would probably do some affiliate marketing on your blog (like sign up to your hosting affiliate and do a start a blog to start maybe). I would use the holiday time to promote your affiliate links (Amazon) with products. You can also get paid for blog posts which will be more money than your affiliate income in the beginning. Good luck! That’s great. Glad you found some great sites to guest post on and get paid too! Once again, you hit it out of the ball park! What a wonderful resource. Thanks again. Ha! Thanks again chica! Glad you liked this post and found some good sites to pitch to. You’ve put together a great resource. There’s one site there I hadn’t heard of I might be able to try. Thanks so much. Hey! I grew up in California! Down in San Juan Capistrano 🙂 Miss it. What a fantastic resource!! Thank you for sharing! So glad you liked it. Enjoy the the blogs and good luck on getting some cash on the side! Nice list 🙂 The only other one I can think of that isn’t on your list is Scary Mommy. What I really like about these sites is that if you could get even one article published every month or two it would cover all your blogging expenses – hosting, autoresponder, Tailwind… Which is a big plus for us bootstrappers. Scary Mommy doesn’t pay anymore 🙁 I had to check and they are discontinuing it. Yes, good point about bootstrapping. Doing this can definitely help you out! What an awesome resource! I will be sure to share will all my mama friends that want to freelance write. Thanks so much! Glad you liked the list. Yes there are a ton of ways to earn cash online. Paid guest posting is super easy and you can score big too!